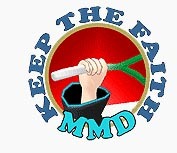 Here it is… take a look! Creepy right? This is even scary for me! 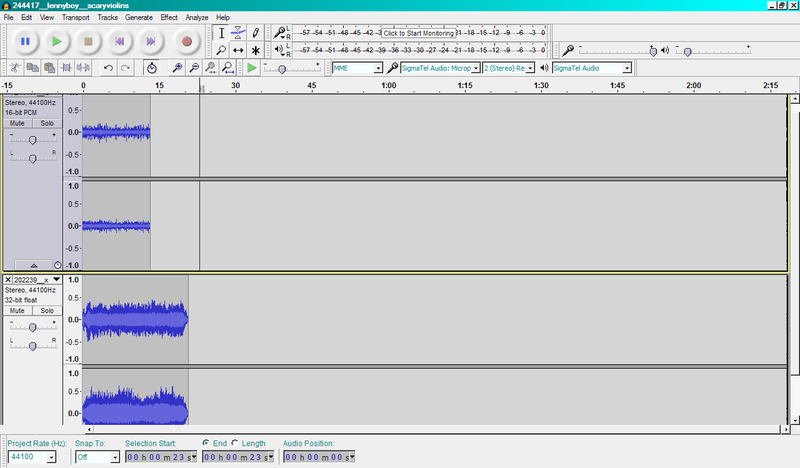 When I found the audio, I put it all together in Audicity®, with layers. It took me about 3 hours to get the music just right. The background music is made of horror ambience and creepy violin… and added echo, of course. 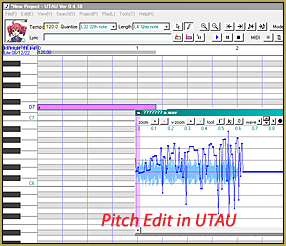 That first scene with the white Miku character that you see, I took the original audio I had found and made the pitch higher… and made it echo… and that’s what I got. The last soundtrack bit I made by using UTAU. 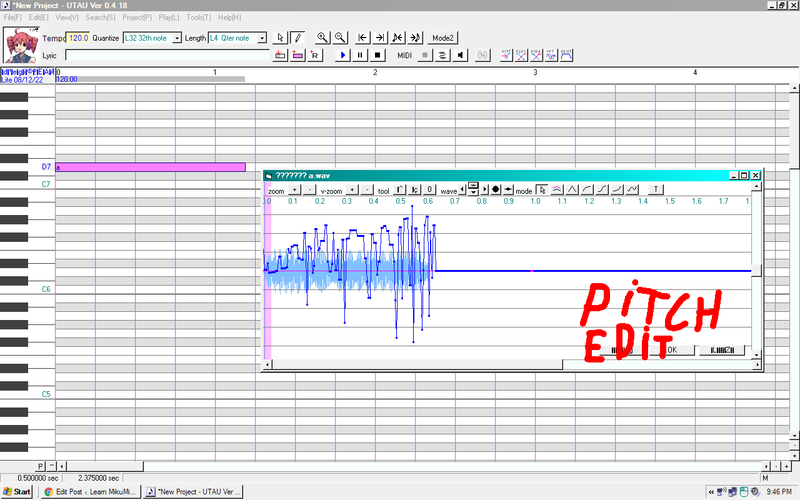 I just made Teto sing “a” on the highest pitch it could, and I made the pitch “weird” so it would be creepy. Then I downloaded a lot of cool creepy models. Downloading them took me 1 hour. Models used: I do not remember the first one (soon as I identify her I will tell you! 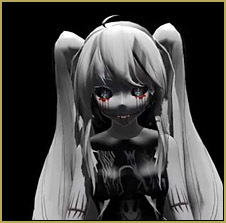 ), full course candy addict Miku, Magnesium (machine ver), acid IA, Heartless Miku, Goth Bloody Miku. I wanted them each to be alone on the camera but I had some problems cuz when I was placing them, they were all in the scene, together. The trick is when you see one model, the other models are hidden under ground so you can’t see them all at once. 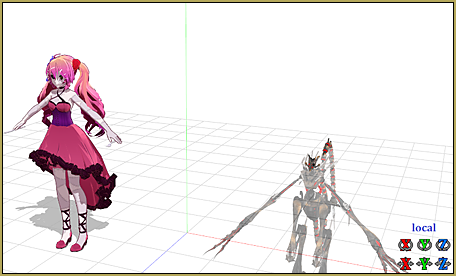 When the next character’s turn comes, I make it visible by dragging it up into view. I wanted the animation to be smooth so it took me a lot of time to animate… and I started doing the animation at 11 PM and I was kinda scared, myself!… so I just went to sleep and finished it in the morning. The camera serves as a little bit of the trick part, as well. I needed to zoom in and zoom out to make models be invisible… and I rotated the camera a little to give that horror atmosphere. I used GreenerShader cuz it makes everything look rendered like in Blender… and that shader has a lot of options to choose from so you can use it for everything! Since I have a slow old computer and there are so many models in one place, I had some problems; like when I turned on the physics and ExcelentShadow, my PC almost died!… so it was really slow. When I tried to go to file and click Render to AVI, I tried 9 times to make the characters look alone… and I finally got the result I wanted. Its great! 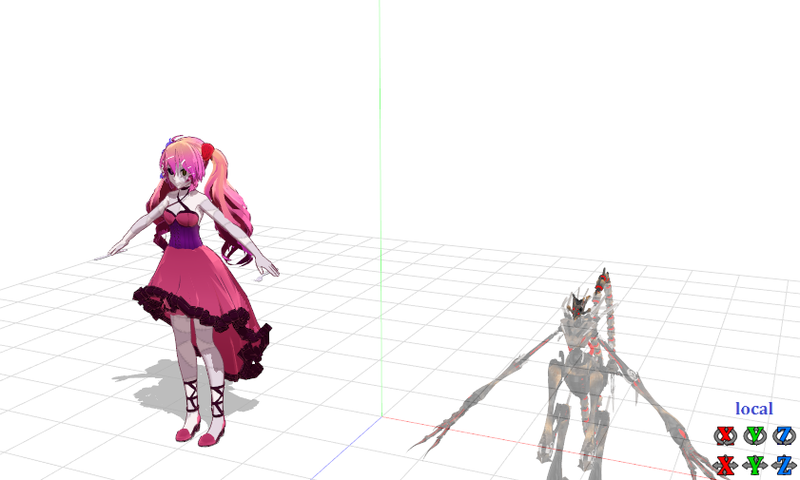 Have creepy fun with MikuMikuDance!